"If I only had one word to describe Annika, it would be: amazing. She clearly loves her job and is so patient, professional, and fun to work with. Annika made the process as clean and stress free as I could ever imagine. If there were more stars available to give her, I would. Highly, highly recommended." "Annika was a pleasure to work with. After 39 years in our house, it was a bit traumatic to sell a house we loved and look for another one that had rather rigorous requirements. She made the whole process as easy as possible. While we ranked each of the categories above as "5" her responsiveness really knocked our socks off. If we texted, emailed or called her she never failed to get back to us within about 10 minutes, often within 2 minutes! She knows the north shore like the back of her hand, she knows her business like someone who has been doing this for decades and she made the negotiation process look easy. We highly recommend her!" "What distinguishes Annika from other realtors is her integrity and honesty, responsiveness, and vision. You feel you're in safe hands with Annika. But more than that, you enjoy working with her so much that when it's all over, and you've found the perfect house, you feel a bit sad when you realize you'll miss working with her. Thank you, Annika!" "Annika, is a very hard working, responsible, loyal, full of ideas, willing to put extra time; she did 3 open houses with my property, many showing; and always on time and always is ready to put extra efforts to serve her clients. I'm very impressed with her service. I would like to say thanks for everything she done. I would recommend her as great, great real state agent. "Annika is a wonderful and insightful realtor. She has outstanding advice and assisted us - in the most helpful way possible - thoughout all aspects of our search for our home. We strongly recommend her to others. knowledge, and care are only a few of the many great qualities that made the process of purchasing our first home seamless. Thank you for everything you have done for us!!!" "Annika helped us find our dream house in Winnetka. She is very knowledgeable about the Winnetka/Wilmette area and also quickly understood what we were looking for. The entire buying process went very smoothly. I would definitely recommend her to anyone looking to buy a home in the Wilmette/Winnetka area." "I can't speak highly enough of Annika. She helped us with our sale and our buy. We had some very specific requirements for our buy which were not easy to meet in our area, but she was very patient with us and we found the perfect home. Most importantly, Annika is honest and highly ethical. We always knew she had our best interests as her priority." "Annika is an outstanding realtor! She has exceptional communication skills and dealt skillfully with what I felt were an exceptional number of strange occurrences during my work with her. Although I was distraught at times, she kept her cool and was always able to quickly find solutions. While I was building a career and new life in North Carolina, Annika handled my rental, as well as sale of my property. She is brilliant and her ability to analyze the market and pin point the list price facilitated a quick sale, just in time to secure my future plans. With Annika, you may trust her knowledge 1000%! I am very grateful to my friend for recommending her to me." not only the most, but the RIGHT FIT for her clients. "Annika is awesome. She worked us through some difficult circumstances and never gave up. I will absolutely recommend her to anyone buying or selling in our area." "Annika was so helpful in swiftly posting my rental and finding a great tenant in a matter of days. She made the whole process so smooth and stress-free. She also went above and beyond by offering to help me coordinate with the cleaning service and meet my tenant on move-in day with the keys. I could not have asked for a better realtor experience. My husband and I definitely plan to use her in the future when we buy a home!" "Annika was very professional, friendly and always reachable while selling our house. She was great and I highly recommend her. Thank you"
"Annika provided personalized and professional service. She was attentive and available to our needs and her response time was remarkable. We thoroughly enjoyed working with Annika." "Annika was the first and only Real Estate Agent we will ever work with! We were so lucky to get her through a referral and if it wasn’t for her I don’t think we would have our home! Her responsiveness, knowledge, and care are only a few of the many great qualities that made the process of purchasing our first home seamless. Thank you for everything you have done for us!!!" "It was a pleasure working with Annika. We started our Chicago home search in the rental market. Annika seamlessly pivoted to the buyer's market and helped find a property that captured our desires and lifestyle." "Annika is the best! We loved her on the very first meeting and process of finding the house was fun and enjoyable with this smiling lady. She is not only friendly and pleasant but also a very skilled realtor, strong negotiator and ethical professional. She knows the market very well. She is very hard working and a committed broker. She helped not only finding the home but with every aspect of the move like finding a painter, mover, etc. We are sad that we won't be talking to her every day!!! loved her. Wish her the best!!!"" genuinely interested in finding a home that really fits you and your family. We had the pleasure of working with Annika while both buying and selling a home. Highly recommend her!" "Annika was extremely attentive to our sale and provided great service throughout the process. She was always accessible and helpful whenever we needed assistance. She is knowledgeable about the current market and was very helpful in negotiating and quickly resolving issues that arose. She was professional throughout and never pushy. I would highly recommend her to anyone either buying or selling." "Annika's knowledge and professionalism is very impressive. She has a natural ability to understand both the practical and emotional issues that can arise while selling a home. Annika was always available to answer any question, big or small. She worked very hard to sell our house to the right people, and managed to find a buyer in as little as in three weeks. We only had one open house. This experience went far beyond our expectations! Annika is the broker anyone should wish for when looking for a new home, or selling a home. We were very lucky to have Annika as a broker selling our house and making it happen!" "Annika is an incredible agent. She helped us find a house that was perfect for us. She guided us through the process and made things easy for us. We recommend her heartily!" "Annika helped us a lot. She is an excelent professional e a wonderful friend. Since we are not from here, Annika excellent skill with the process and everything was wonderful and helped us very much." "Annika is fantastic. She patiently helped us explore Wilmette (and other North Shore suburbs) for over 18 months. She knows the area cold, and helped steer us to our current home and neighborhood, which we love. Annika's in-depth understanding of the dynamics of the real-estate market was tremendously helpful as we navigated the search, offer, negotation and (rapid) close process. "We love where we live" (@ properties' tag-line!!) solely because of Annika (and have been referring her to anyone in the market to buy or sell)!" "I started looking for a house during my divorce process last fall. There were many requirements for my new house that were essential to me; enough bedrooms and bathrooms for my teenage daughters, enough space for a baby grand and for choir rehearsals that I lead, a space with good natural light for my art studio, proximity to my ex's house (not too far but not too close), in a neighborhood where my daughters have friends, where my budget was almost laughably low. I was embarking on a mission impossible. I had talked with a few other realtors before I met Annika. Annika was the only one who seemed to instinctively "get" what I needed, not only the physical space of the house, but also my emotional aspect of the move itself. She is good-natured, honest, very patient, very bright, extremely responsive and capable. She is flexible and open-minded. She was indispensable during my rocky time. She kept me optimistic and carried me through the house hunting, and negotiated with the seller to get the price down to my range. She worked so hard even after the purchase to fix some previously undetected problems in the basement. I cannot thank her enough, I cannot say enough good things about her. I would highly recommend Annika to anyone who is looking for a real estate agent with superb sensitivity to your needs. Thanks to her, I now have a perfect home for my girls and me." "Annika helped me sell my townhouse in Wilmette and purchase a home in Winnetka, and I couldn't be more grateful to have had her by my side throughout the process. She is a true gem in every way imaginable! Not only is she knowledgable and dedicated, but she has a genuine warmth and empathy that is unparalleled. Annika helped me sell my town home in a very short period of time without having to make financial sacrifices. She was present at every showing, so I felt like my possessions were safe and my property well represented. She was always available to answer questions, and was extremely kind and patient. Annika made a potentially stressful process of both buying and selling a home in less than 2 months quite possibly one of the easiest transitions imaginable. I would highly recommend Annika to represent you as either a buyer or seller without any reservations!" "Annika is the best! Again and again she is able to find top notch candidates for my rental and she makes the process smooth and simple for me. I am fortunate to have her as a realtor!" "Annika is one of the hardest working people I have ever met. She has boundless energy and is so devoted to her clients. Our real estate needs were a bit complicated but she was relentless in her efforts to help us find what we wanted. She is so pleasant to be around too, always smiling, laughing and helping us to be optimistic when things got tough." "Annika is super professional, friendly and just the best realtor that you can imagine. We highly recommend her and her work." "Annika is the best. No words to describe her prompt responses to all our questions. She is the only realtor we would use in the future." "There is no better realtor on the north shore of Chicago. She just helped us for the second time." "This is the broker you want !!!" "Wow! She works so hard to find you the right home and patiently let's you take your time making decisions. We had a relaxed, pressure free and professional experience with Annika and highly recommend her to others." "Annika is one of the most genuine and kind people that I have met, and it was such a pleasure starting the adventure of house hunting with her! She is honest, true, and most of all extremely helpful and sensitive to all the pressures, frustrations and twists of buying a home. Her warm demeanor and endless encouragement is always welcome. Even though this is my first home purchase, I'm already looking forward to working with Annika again. Cannot rave enough about how great she is as a person and professional. Contact her and actually enjoy the process of finding a new home!" "Annika is amazing. We deal with professionals all day long in our work capacity and have to say that Annika sets the bar. She is smart, professional, knowledgable, sensitive, flexible, and detailed oriented. She delivers. She also understands our home is an important investment and treats it accordingly.When the time comes to sell our house or buy something else, we will ONLY use Annika! Our only suggestion is to make sure you keep Annika happy at @properties! She is a gem!" "Annika did a fabulous job finding a purchaser for our home." "Annika is the reason our home was sold! After numerous contracts fell through and our house would not sell, we hired Annika. She was in constant contact with the buyer's broker, attended all showings, attend all inspections and worked above and beyond to make sure our sale closed. If you want to sell your home, hire Annika, she's absolutely the best." "The best! Annika was more than helpful and patient with our first experience selling a house in United States as foreigners. She was extremley respectful of our privacy when showing the house. And really cares for things to go well with both parties. Thank you!!" "Annika is a excellent agent. Very knowledgable, patient and attentive to clients needs. I highly recommend her." "Annika is outstanding! She understood our needs, knew the market, and was very helpful with our negotiation. Her customer service and presence is top notch. We highly recommend her." "Annika is the best! We loved her on the very first meeting and process of finding the house was fun and enjoyable with this smiling lady. She is not only friendly and pleasant but also a very skilled realtor, strong negotiator and ethical professional. She knows the market very well. She is very hard working and a committed broker. She helped not only finding the home but with every aspect of the move like finding a painter, mover, etc. We are sad that we won't be talking to her every day!!! loved her. Wish her the best!!!" "Annika is a delight to work with. She is extremely professional, very organized and extremely engaged with her clients. Nothing is too much trouble. We will always return to Annika for any future property transactions." "The "House Whisper". Sold both my houses to the first person in the door. So great to work with." "Our broker, Annika Valdiserri has been excellent throughout the buying process. She is extremely professional, organized and personable, making the transaction painless and stress free. As ex-pats, we also appreciated the fact that she was able to guide us through the unique differences of the American system compared to that of the European system, and was able to connect us to the right people in order to ensure the transaction went through smoothly. We would highly recommend her to any potential buyer or seller." "Annika was outstanding in every way! We were moving from out of town so she made time for us over two days that we could fly in and look at homes. She was friendly, knowledgeable, and a joy to work with! After our bid was accepted, she continued to be a great resource through the entire process. We have worked with a lot of realtors overt he years in a variety of moves and Annika is the tops!!" "Annika is awesome!. She definitely knows how to gets things done! She is efficient, professional, but always hasa calming smile to share. She really cares about gettingnot only the most, but the RIGHT FIT for her clients. She works hard, is trustworthy, and knows how tobuilding lasting relationships- no wonder she is consistentlya top producer!!" "It was great working with Annika. She was very responsive, service-minded and efficient. Overall a great experience." "Annika helped me sell my townhouse in Wilmette and purchase a home in Winnetka, and I couldn't be more grateful to have had her by my side throughout the process. She is a true gem in every way imaginable! Not only is she knowledgable and dedicated, but she has a genuine warmth and empathy that is unparalleled. Annika helped me sell my town home in a very short period of time without having to make financial sacrifices. She was present at every showing, so I felt like my possessions were safe and my property well represented. She was always available to answer questions, and was extremely kind and patient. Annika made a potentially stressful process of both buying and selling a home in less than 2 months quite possibly one of the easiest transitions imaginable. I would highly recommend Annika to represent you as either a buyer or seller, without any reservations!" "We highly recommend Annika Valdiserri...she is a true broker partner in every way. Very professional, experienced, and knowledgeable, she helped us sell our house by going the extra mile throughout the process, start to finish. Can't say enough positive things about her...she is the best." "Annika did a great job and made me feel comfortable throughout the process. I felt like she was on our side the entire time and she gave some great advice." "Annika is excellent. She is personable, professional and sincere. There is nothing phony about Annika." "Annika Valdiserri did an absolutely professional job selling our home. We did not realize how personal the sale of your house would become and not just a business deal and Annika was such a wonderful buffer between the buyers and us. She kept our interest in mind at all times and negotiated for us in a very professional manner. I am so so happy with her and will recommend Annika to all!" "While looking for homes on Realtor.com we meet Annika at home home we were interested in renting. As time went on we decided to purchase and my wife and I were very lucky to have met Annika and she became our agent. Annika has her clients best interest at all times, even email contact while she was out of the country ad even on a family ski trip, which after his had Chiago winter I'm still amazed that they called that a family vacation, lol. It was an absolute pleasure working with her and our purchase!She is a roll model for all agents both new and experienced.Best regards,Greg and Laura Colucci"
"Working with Annika was a pleasure. She's very knowledgable and you can tell that she loves her job. I would highly recommend her, in fact I have already done so multiple times." "Annika was great to work with and I look forward to working with her in the future when I decide to list my property. She was very responsive to my questions and emails which was ideal in the time crunch we were in. She was very pleasant to work with and feel very fortunate that she was able to help us with this property." "Its been a pleasure to work with Annika.Great assistance and communication throughout the process. It was always very easy to get a hold of her and she was quick to get back to us with any information needed. We will definitely use Annika for our next move." "Being new to the North Shore area, we met Annika as "casual lookers" in a an open house...but were impressed with her "no pressure / I can help" demeanor if / when we were interested in seeing additional properties. As we became further interested and contacted Annika for further guidance on properties in the North Shore area...she took special care in learning our specific requirements and was highly instrumental in finding the right place for us...and without the undue pressure of "making a sale". Throughout the 5-6 month process of "finding the right place"...Annika's attention to detail all the way through closing of the sale enhanced the ease of the entire process." "Annika was just fantastic! She was so helpful every step of the whole process and I couldn't have done it without her. Thanks so much!" "Extremely capable, very attentive, very professional, very thorough, and with a lovely sense of humor." "Annika was the ultimate partner during our house search. She advised us instead of trying to convince is to buy a home that was not perfect for us. She was patient and professional and after several showings found the right house. She instilled confidence and made each step easy. Great broker. Will recommend her and @properties to others." "Annika was absolutely fantastic- very helpful and excellent at communicating both whilst here in the USA and also whilst we were back in the UK. She took a lot of time out to help find the property and also directed us to excellent professionals such as surveyors, lawyers, etc, who have all proven very helpful throughout the process. She negotiatedvery well and we feel we got a great deal!! We can not recommend Annika enough!!!" "Annika is more than just an awesome realtor. Her work ethics are superb, I could always rely on her to get back to me or give me right prompts in an extremely timely manner, but she was also very sensitive to my situation and understood my needs really well. I feel incredibly lucky to have walked into an open house and found her sitting there! She worked very hard for me, negotiated with the seller and workmen, and helped me realize my goal. I cannot thank her enough!" "Annika is fantastic. She patiently helped us explore Wilmette (and other North Shore suburbs) for over 18 months. She knows the area cold, and helped steer us to our current home and neighborhood, which we love.Annika's in-depth understanding of the dynamics of the real-estate market was tremendously helpful as we navigated the search, offer, negotation and (rapid) close process. "We love where we live" (@ properties' tag-line!!) solely because of Annika (and have been referring her to anyone in the market to buy or sell)!" "Annika was a stellar broker to work with. She was attentive to our needs and went above and beyond the call of duty to help us find our home." "It took us two years to find the perfect house and Annika was there every step of the way. She was patient and as our needs evolved and changed so did her recommendations. Annika was up one night with jetlag and hand picked the house for us. We were instantly in love with the house and she did a fantastic job negotiating for us. We are thrilled with everything Annika did for us and we couldn't be happier in our new home!" "Thank you for being our Real Estate Agent; clearly the best Real Estate Agent there ever was!You did everything right. You carefully assessed what should be our asking price. You expertly staged our house; it had never before looked as beautiful and free from clutter. You had us featured as House of The Week in The Winnetka Talk and in Chicago Magazine; complete with a filmed walking tour. You held open houses every Sunday, and accompanied all potential buyers during showings. You kept in touch nearly every day and gave us constant feedback. You recommended an outstanding real estate attorney. You brought in a fantastic photographer. And you negotiated a selling price more than acceptable to both parties.And you did all this with a wonderfully positive attitude; always caring, always letting us know everything would work out just fine, never flagging, never losing confidence, even in this uniquely difficult real estate market.Pamela and I cannot thank you enough for all you have done for us. We will just have to keep trying.Thank you again and Best Wishes,"
"Annika was simply a delight to work with. It was refreshing to work with an agent who was focused not on the sale but on finding us our first home. She took the time to get to know us and was candid about what she felt might be negatives for us with a particular house. She was patient and understanding when we decided to postpone our search for a period of time. And her communication was excellent and helped calm any nerves we experienced with buying our first house. In addition to walking us through the process, Annika was our advocate throughout and in the end helped us find the perfect house for our family." "I feel like words cannot do justice to the quality of service provided to us by Annika Valdiserri. We (my husband Junias and I) have bought a few homes and this is the first time we have come out feeling completely delighted with every aspect of the experience. We met Annika in summer, 2010. We had decided to interview several agents that were recommended to us. After a few minutes, we knew Annika was the one we wanted to work with. She has a very sincere and pleasant personality. She came across as forth right and continued to be a clear communicator in every encounter. She took the time to listen carefully to what kind of real estate we wanted to purchase and what expectations we had for our real estate agent. From day one, she worked hard to guide us to properties that were in line with what we wanted. We felt strongly that she was 100 % in our court and was committed to! further our interests. it is a rare experience to have that feeling about your real estate agent when every thing is said and done. We bought a foreclosure prop that ended us being a great value. When the pressure of the closing date came and the transaction could have easily fallen apart, Annika was the bridge to keep all parties on track, as she was well respected by everyone. We know we are in the beautiful home we are today in no small part because of her being our agent. We will recommend her wholeheartedly to anyone we hear is interested in buying or selling real estate. We smile when we see the @properties sign because it reminds us of our wonderful real estate experience. We hope you will recognize this very, very fine employee, who has done her agency proud!" "I've been told by friends and relatives that buying a house is a stressful endevour, however for me it was not and i attribute this to having Annika as an agent.From the initial search for a property, Annika understood my requirements and arranged viewings that fit my specifications but also some that that provided options i hadn't considered.Being a first time home buyer and also having lived most of my life outside the USA, Annika was able to guide me through the process and explain to me all the intricacies of the US housing market.We also worked through the short sale process together and her experience in this matter was invaluable.It was a joy to work with Annika during the home purchasing process and although there were a few proverbial bumps in the road, as there always will be, Annika's best asset is that she can smooth out those bumps and lead you on the road to purchasing your new home." "We really appreciate the attention Annika gave for her listings. She came for each open house event and each showing request. 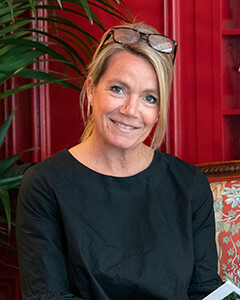 We also appreciate that Annika has first hand information about Wilmette and northshore so she can present buyers with the value of her listings." "Annika is extremly diligent in her research for any relevant information and always answers promptly and correctly to any requests and always exceeds our expectations." "Very attentive, very professional, very thorough, and with a lovely sense of humor." "Its been a pleasure to work with Annika.Great assistance and communication throughout the process.It was always very easy to get ahold of her and she was quick to get back to us with any information needed.We will definitely use Annika for our next move." "Annika was the ultimate partner in our house search. We felt that she r"
"Annika was very diligent and professional. Most of all, she was friendly and sweet"
"Annika was absolutely fantastic - very helpful and excellent at communicating both whilst here in the usa and also whilst we were back in the UK. She took a lot of time out to help find the property and also directed us to excellent professionals such as surveyors, lawyers etc, who have all proven very helpful throughout the process. She negotiated very well and we feel we got a great deal !!! !We can't recommend Annika enough !!!"